The Koolaire JCT1200 261 remote condenser connects to an ice machine head with refrigerant lines, enabling the condenser to be used outdoors while the ice maker is still inside. This setup eliminates excessive heat and noise in the kitchen. Refrigerant is pre-charged in this unit until it reaches 50 feet, but if more length is required, it will need to be charged. 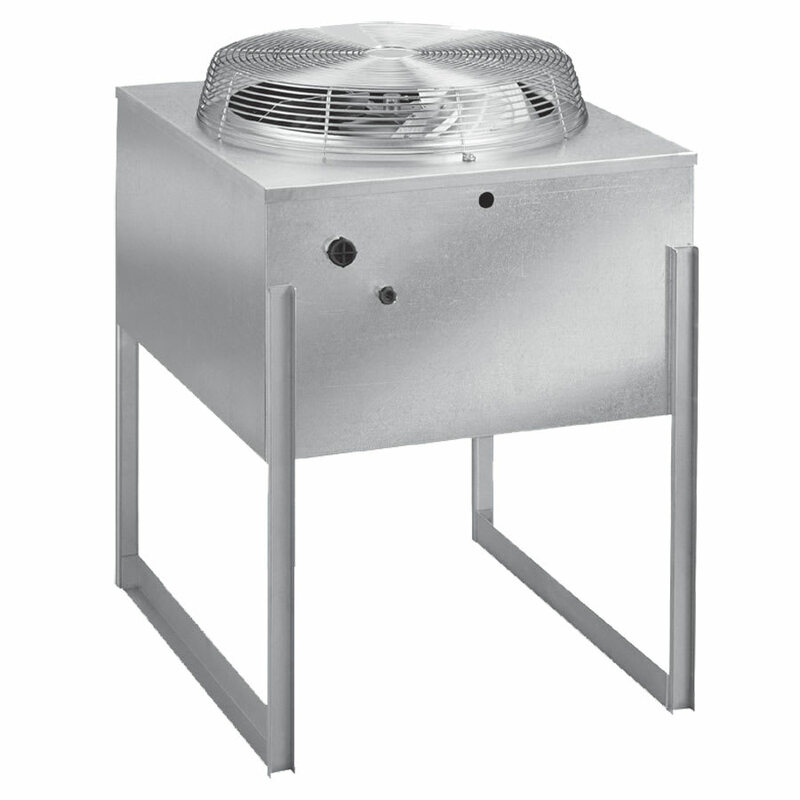 This condenser withstands temperatures from -20 to 120 degrees Fahrenheit and is sold separately from ice machines and bins. Maximum refrigerant line length: 100 ft.
Not sure if a remote condenser is the best option for your application? Find out more about condensers for ice machines in our ice machine buyers' guide.